Dr. Wu is an Associate Research Professor in the Computational Biology Department at CMU. She received the Ph.D. degree in Computational Molecular Biology under Dr. Sidney Pestka from the joint graduate program of Rutgers University and UMDNJ. Dr. Wu also received the M.S. degree in Computer Science from the University of California at Santa Cruz where she worked on the construction of the Human Genome Browser with Dr. David Haussler. She later did a postdoctoral training with Dr. Mina Bissell at Lawrence Berkeley National Laboratory. 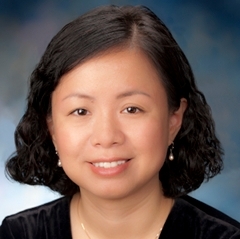 Dr. Wu joined the faculty of the Division of Pulmonary, Allergy and Critical Care Medicine at the Department of Medicine of the University of Pittsburgh in 2004, and recently moved to CMU at 2012.